The 3'x5' U.S. 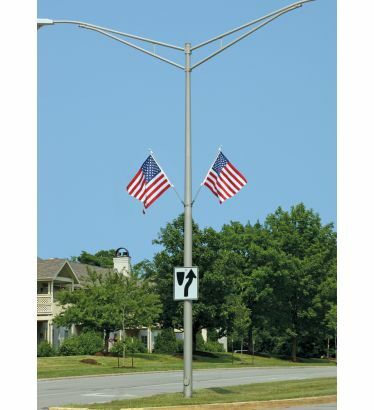 Flag Standard Street Pole Mounting Kit is for areas with light winds to medium winds. 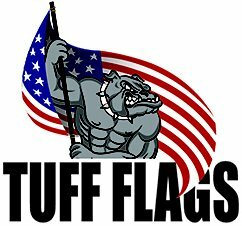 This kit includes the components most commonly offered by other flag companies. The aluminum pole has a wall thickness of 0.035" which is a normal wall thickness for an aluminum pole and handles lower wind areas. This kit also includes a top commercial flag with embroidered stars and sewn stripes. 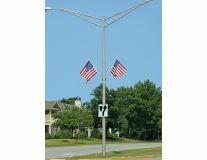 Stainless Steel Straps are easily installed on the street pole with a standard flathead screwdriver. Brackets are made of aluminum for the standard street pole mounting kits. 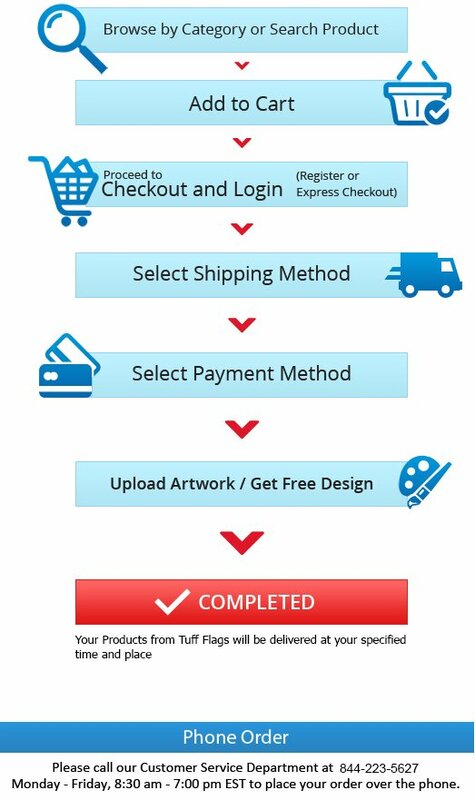 This is a great kit for a great price. 6' Aluminum Pole with 0.035" wall thickness. 1" Outside Diameter.